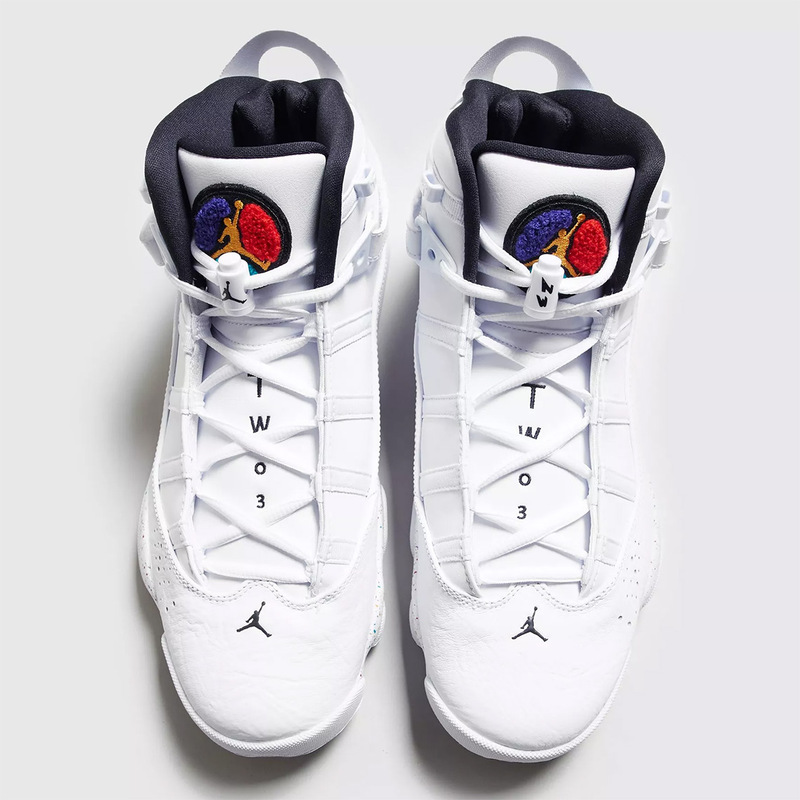 The Air Jordan 6 Rings silhouette is the perfect embodiment of Michael Jordan’s unparalleled success, as it combines elements from all six sneakers the Goat wore during his six championship runs with the Chicago Bulls. 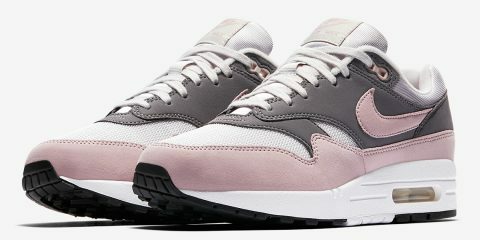 Incorporating the Jordan 6, Jordan 7, Jordan 8, Jordan 11, Jordan 12, and Jordan 13, this fusion creation is a premium, patent leather-laden take on His Airness’ illustrious legacy. 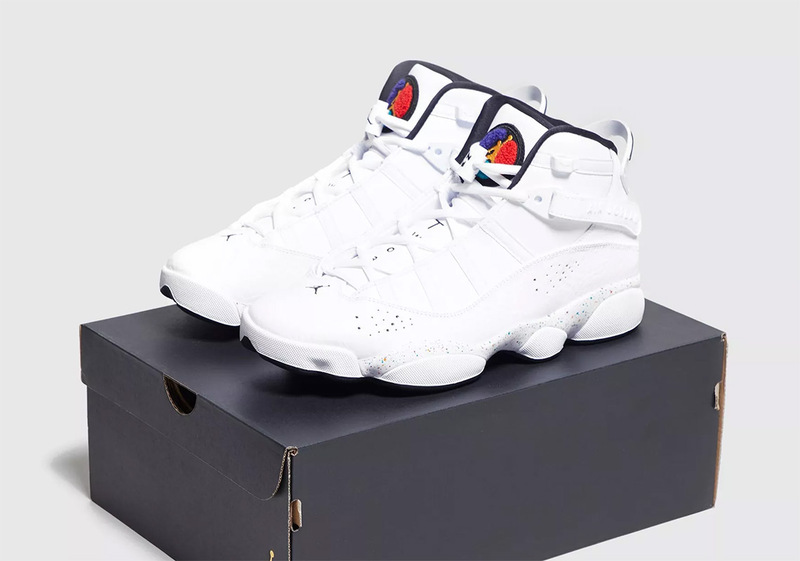 Over the years, the 6 Rings has been dressed in familiar Jumpman color schemes the likes of “Concord”, “Space Jam”, and “Bred,” but now it ushers in an original white kit that opts for an attractive paint splatter motif on its sole unit. 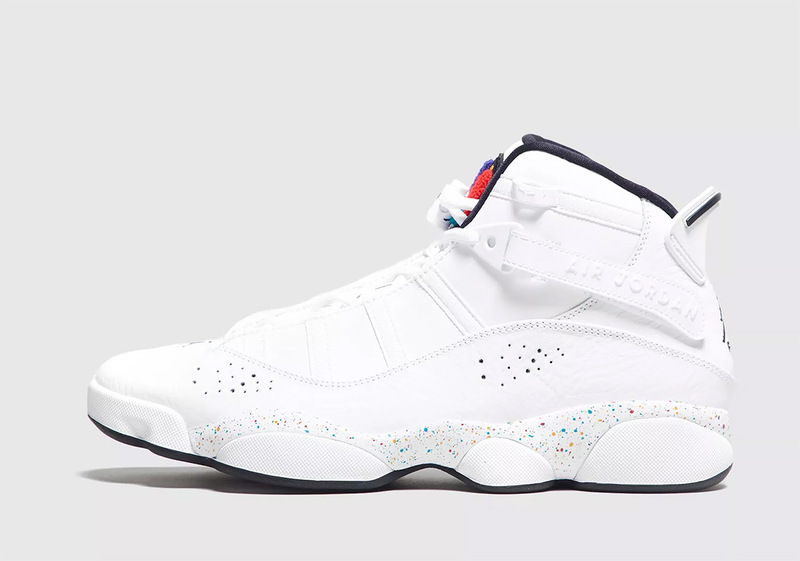 Its AJ8-inspired tongue combines hits of red, purple, golden yellow, and teal, while that aforementioned pattern calls upon the same hues for a more subtle effect. Fans of this iconic piece of Jordan history can enjoy a detailed look below and keep it locked for updates regarding its release in the near future.